Why is Jack Bauer missing from FOX’s upcoming 24 reboot? Recently, Kiefer Sutherland spoke with Ad Week about the series and his new ABC drama Designated Survivor. The new series, 24: Legacy, stars Corey Hawkins as Eric Carter, a soldier who returns to the U.S. from the Middle East only to find himself preventing a massive terrorist attack. Earlier, the show’s EPs said original 24 star Mary Lynn Rajskub (aka Chloe) could appear in the reboot. What do you think? Are you a fan of 24? Will you watch the new series 24: Legacy? More about: 24, 24: canceled or renewed?, FOX TV shows: canceled or renewed? There needs to be at least one TV movie as the last we saw of Bauer was that he was kidnapped by the Russians to stand trial in Russia for the killing oft he Russian President. After that he can “retire” or be a sidelines consultant. Mmm, Bauer is in Russia and what he did to them was so bad they would never have reason to let him go. Besides, Designated Survivor last night was pretty good. I’m not sure how long it can last — after a couple of seasons it will be West Wing — but it’s a good concept so far. 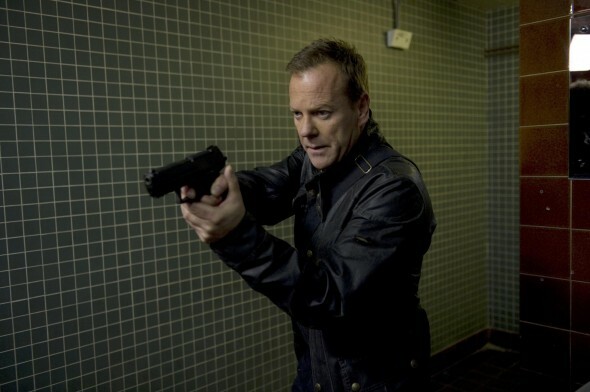 I wish the new 24 all the best – but without Kiefer Sutherland I have no interest and will not tune in. Thanks for doing a great interview with him and giving fans a chance to voice their opinion. I’ll give it a shot, but I’m not optimistic. KS was 24. I agree with why Sutherland doesn’t want to return but I do as hell miss Jack Bauer. I’m almost certain the revival wont be as good. Bauer was 24.